KMIZ-TV, the ABC affiliate serving the Columbia-Jefferson City, Mo. market is readying to debut a new set this evening. 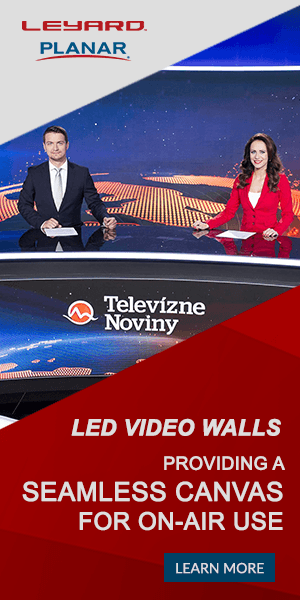 Designed by veteran designer Gil Jimenez, the new set takes a traditional look with warm wood tones, blues and multiple LCD monitors. 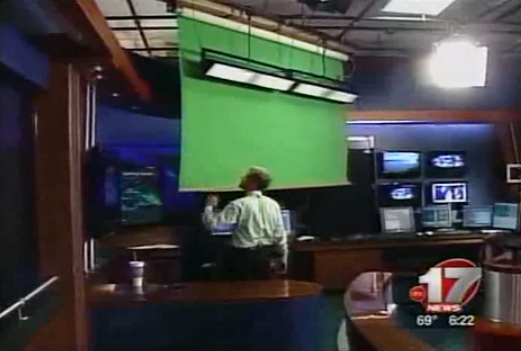 It also boasts a roll-down chroma key wall, as shown here. 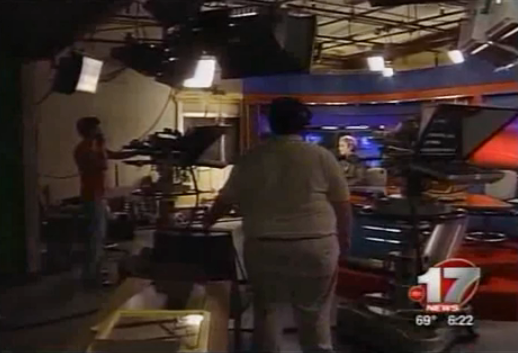 By the way, Jimenez also designed the set at the market’s CBS affiliate, KRCG-TV, seen below in a rather entertaining YouTube clip that includes a out-of-control camera. The new set is a significant upgrade from the station and places it in a better position in the market, especially against the now rather outdated look seen at KRCG-TV. The set is nowhere near as complex or elaborate as that seen at KOMU-TV, the NBC affiliate owned by the University of Missouri. KOMU-TV installed a new set from Devlin Design Group last year after making the switch to HD, seen in the clip below and here in SetStudio. We hope to have more images after the set officially debuts this evening.